This study uses the second half of the commentary used with First Corinthians, First and Second Corinthians by Maria Pascuzzi. 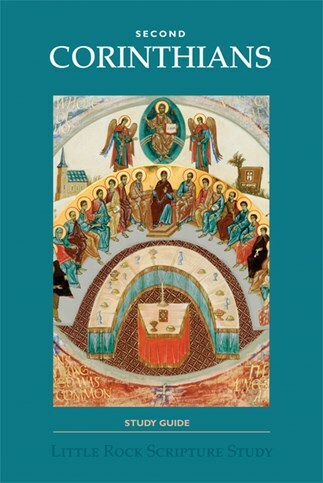 The Study Set includes the Study Guide by Little Rock Scripture Study Staff and the New Collegeville Bible Commentary, First and Second Corinthians by Maria A. Pascuzzi (Liturgical Press). Note that the First Corinthians study and the Second Corinthians study use the same commentary. Those planning to do both studies should order Study Sets for one of the studies, and order only the study guide for the subsequent study.